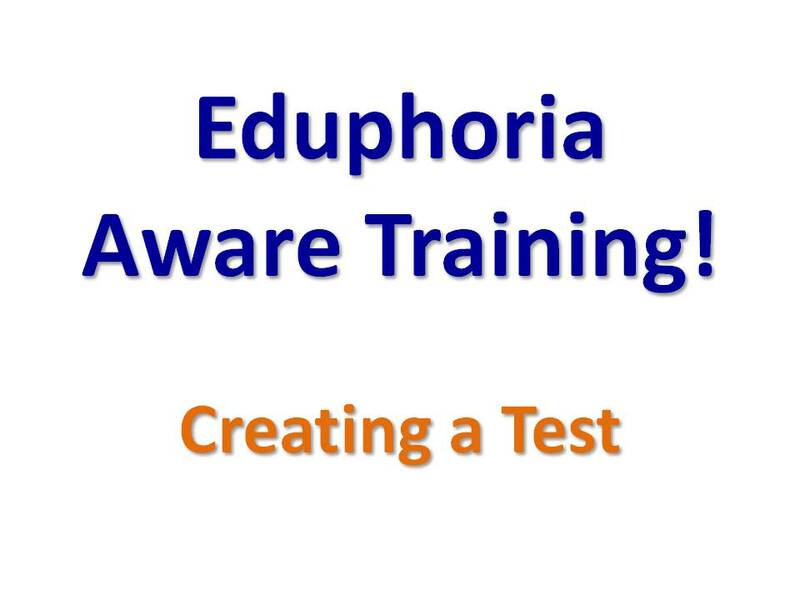 As you begin using the Eduphoria system, your first steps are to create an actual assessment that you will give to students. Below are three simple videos that walk you through how to (1) create an assessment, (2) align test questions to objectives, and (3) print pre-slug documents for your students to actually take the assessment on! Check out the videos below and get your feet wet using Eduphoria! After you – and ALL of your data team – have watched all three of these videos, created an assessment, and given it to your students, then it is time to contact your CITS! You will need to schedule a time for your CITS to come out and train your data team on scanning in those assessments and analyzing the data! So – get to creating! Make those assessments happen!